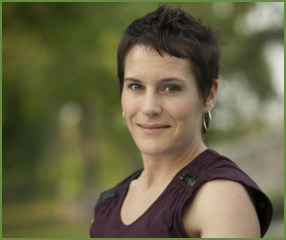 Meighan Laubenstein has a broad background in a wide variety of therapeutic practices. Graduating from UW-Stevens Point with BS in Sociology and a minor in Gerontology, she began her experience in the healing arts in 2000 with the study and practice of Tai Chi Chuan and Reiki in Truth or Consequences, NM. Wishing to expand her knowledge, she entered the Boulder College of Massage Therapy in Boulder, CO, graduating in January 2002. Concurrently, she began participating in a four-year program in Chi Kung (Qigong) Healing and Energy-Body HealingSM taught by Damaris Jarboux at The Center Place in Boulder. Later that year, 2004, Meighan traveled to China to study in an intensive three-week course in Wisdom Healing Qigong™ with Master Mingtong Gu. In 2011 she received a level 1 and 2 certification in Tai Chi Fundamentals® Professional Training Seminar. Meighan is certified by the National Certification Board for Therapeutic Massage and Bodywork (NCBTMB) and is licensed to practice in the state of Wisconsin (WCMT #3063-046). She is a professional member of the National Qigong (Chi Kung) Association (NQA) and is also certified in the Usui lineage of Reiki, levels I and II. During her career so far, she has accumulated over 1,500 hours of training in various modalities including, but not limited to, Chi Kung self-practice and Chi Kung Healing, Healing Touch, Therapeutic Touch, Polarity Therapy, Shiatsu, myofascial release, trigger-point therapy, deep tissue and Swedish massage, and prenatal massage. Meighan's deepest passion within her work lies strongly in the Chi Kung Healing and Energy-Body HealingSM. Her practice of both these modalities is rooted in a strong belief in the idea that the whole of who we are today is a result of all we have experienced in our lives thus far. The effectiveness of these treatment methods lies in the way they address changes in the individual's energy system brought on by episodes of emotional, mental and/or physical trauma, drama or stress during the course of a lifetime. We may not be able to change or stop these episodes which occur in our lives, but we can change the way we respond to them.